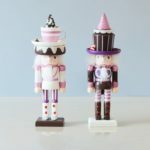 Adorne your home or decorate your office with nutcrackers that fit your style or vocation. It is the best in holiday home and office decor. You can set them on the table or on the fireplace to add holiday cheer to your home. 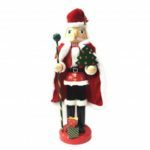 This decorative nutcracker is the perfect way to add festive holiday cheer to your home. 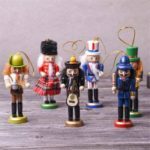 This nutcracker will complement any Christmas decor theme and is sure to bring the Christmas spirit into your home. This will brighten up the look of any room and makes a perfect addition to any home&apos;s decor. 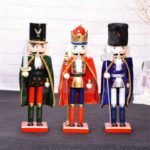 Comes with 2pcs, including a soldier nutcracker and a dog.